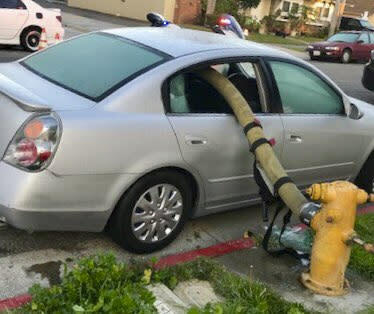 ANAHEIM, Calif. (AP) — A California fire department enflamed some social media users but amused others by posting pictures of the busted-out windows of a car parked in front of a fire hydrant. 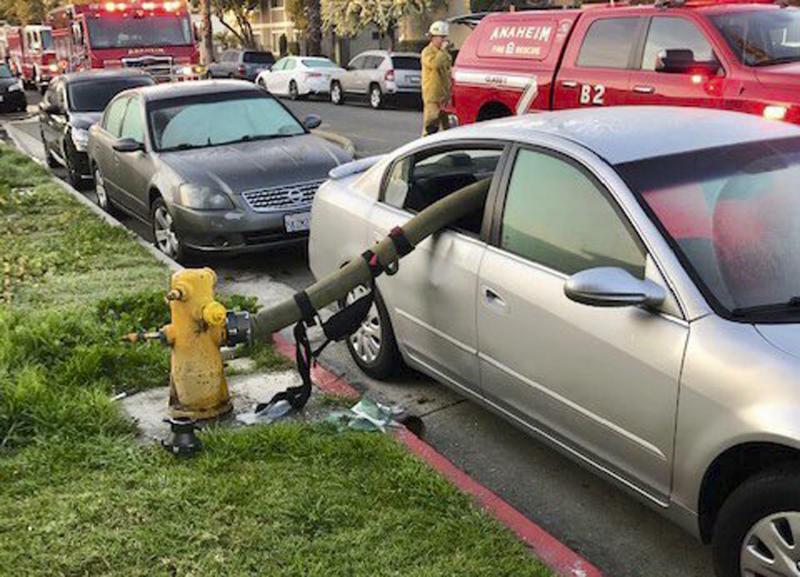 In a Twitter post Tuesday , the Anaheim Fire Department asks: "Ever wonder what happens when a car is parked in front of a fire hydrant and a fire breaks out? Is a closer parking spot worth the broken windows and the citation and towing fees?" The post included four photos showing the sedan's rear side windows busted out to make way for a fire hose. The department penned a new post Wednesday after a virtual firestorm of responses, including many saying the hose could have gone over the car, or that the department shouldn't have shamed the driver by posting the photos, which don't include any identifying information. "We posted this incident to illustrate and educate, not to humiliate anyone," the post said. "In answer as to why break the windows instead of going under, over, or around the car ... it doesn't work. The hose needs a straight line out of the hydrant. We do not damage property unless it is needed." The department further explained that putting the hose on top of the car would have caused "even more body damage." Other users had little sympathy for the driver, with some saying there should be a special fine for slowing down firefighters when every second counts. One man joked: "The owner of that car is totally hosed. Rightfully."